TEXT AND COLLABORATORS Pedro Gutierrez, Pablo Codesido, Nicolás Fayol, La Misteriosa SUP Club, Patagonia SUP, Active 360, Up Suping. PHOTOS James Panter, Argazki Mahatu,Desde el Mar, Albert Laborda, Edu Vidarte, Manuel Toral, Gwen Marche, Ben Reed, KDF Fotografía, Active 360, Frankie Bees, Naish International, SUP Wave League, Parrens Ferrou, Clément Pilliaon, Blue1310, Philippe Millet, Alexis Fernet, Carine Duflos, J.Vicente González, Challenge De L´adour, Monchogil Foto, Alfredo Vera, David Rojas, The Lovers, App World Tour, Clément Roseyro, Alexis Rodriguez, Jacobo Fernández, F.Véliz, Javier Carbone, Georgia Schifield, L´Atelier D´Hervé, Up Suping. Reproduction in whole and in part of the texts, photographs and drawings published in this issue is strictly prohibited unless expressly agreed with the publishers. Supp Suping is not responsible for the opinions expressed by the collaborators or texts or photographs that reach our hands without being sued. Edito The contrasts of Stand Up Paddle around the world. This great sport divided by hemispheres, in which we can see a handful of adults competing in a SUP race event at 2ยบ degrees of ambient temperature, and at the same time thousands of kilometers a group of children enjoying in swimsuit and T-shirt. In a world where while you are thinking about where you are going to dip your quiver, others have already done so hours ago, or half a day ago. On this occasion, we will be very brief, because although winter has hit hard in this hemisphere, has been a lot of activity. Events, cruises, waves, rivers and much more. But the most important thing for us is that we know that changes are coming, with a generation that will keep the Stand Up Paddle very hight for a long time. 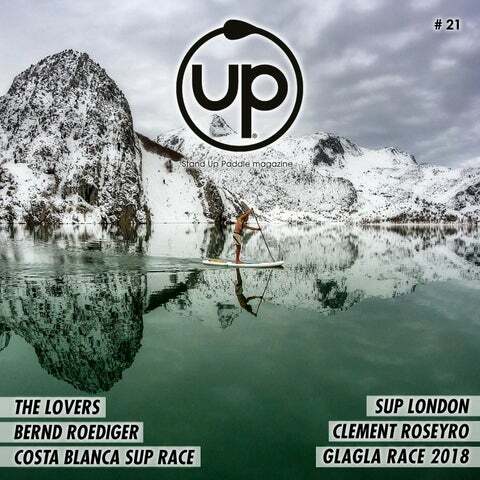 And if you doubt it, look at this piece of magazine (smile)...Welcome to Up#21! next wave season the 6th OPEN SUP & SURF TARIFA. which will all be interlinked on the new rankings leaderboard. The Paddle League for the past five months. elevate the European Summer of SUP. such as cormorants, grey herons and swans. plants and animals that constitute the unique river ecosystem. also discuss sources of pollution and ideas for keeping the river clean. On March 4 was made in the vicinity of the Alicante Costa Blanca Yacht Club, a center of the Republic SUP Club, the first test of the XI Edition of the Mediterranean Circuit SUP Race. The event, organized by the SUP Republic, Hot Zapatillas and the Costa Blanca Yacht Club, beat another record year of participation with 130 riders; of which 61 did it in a ¨Elite¨ category. The rest of the riders were distributed among the kids and amateur categories. The Mediterranean SUP Race itÂ´s growing. Year after year it has been consolidated along the coast of the Valencian Community and Murcia thanks to the inclusion of new clubs and the growth of this sport in this area of the Spain. Today we can say that it is the most powerful circuit at the national level and that it attracts riders and clubs from other geographical areas for its fame and strength. Therefore, the level of competition in this circuit is very high, with riders who have won speed and long distance championships at the national level, and EuroTour riders who give the championship their status. In the children’s categories, despite their young age, they already show their high competitive level, being the great future of the Mediterranean Circuit. As a novelty this year, the 14¨category has added two new subcategories: ¨Master¨ category for competitors between 40 and 50 years, and ¨Kahuna ¨ category for more than 50 years. The organizers thank their sponsors Windeparadise, BMW Fersán cars and the Torregolf rehabilitation clinic for their unconditional support year after year, not without mentioning the great work of dissemination offered by Up Suping as a half partner of the circuit. From our Kew Bridge base we regularly go up river to Richmond passing under the oldest surviving bridge in London, Richmond Bridge and pass next to the magnificent and stately Syon House where a famous coup against the English throne which made Lady Jane Grey Queen for just 9 days was conceived in 1553. We then pass islands which were inhabited in prehistoric times and a Saxon church. When we head downriver we pass Oliverâ&#x20AC;&#x2122;s Island said to have been a hiding place of Oliver Cromwell who started the English Civil War in the 17th Century. We follow the course of the Oxford v Cambridge Boat Race, pass more islands lived on by prehistoric people and the scenic Hammersmith waterfront with pubs like the famous Dove, Old Ship and Blue Anchor. The Thames in London is tidal with sometimes strong currents so we use the change of the tide to make long trips easy. We paddle with the tide which often runs at 5 + kmh and when the tide changes we paddle back to base. Our Kew Bridge base is across the river from the famous Kew Gardens and close to some of Londonâ&#x20AC;&#x2122;s best old riverside pubs all serving fine food and beers. For more experienced SUP paddlers we run trips into central London. The shortest of these to Chelsea passes through Albert Bridge which at night is one of London’s great SUP experiences as a pool of reflected light forms under the bridge. Further down we pass Parliament and Big Ben-which gives its name to our annual 20km. paddle from Putney to Westminster Bridge and Back. This year we are also running the first race through London - the London Crossing which runs 15.5km right through the City passing in Central London alone through 14 bridges and another 7 before that. Downriver of Putney the river flows faster with stronger currents and more traffic so it is controlled strictly by the Port of London Authority and not a place for inexperienced paddlers. 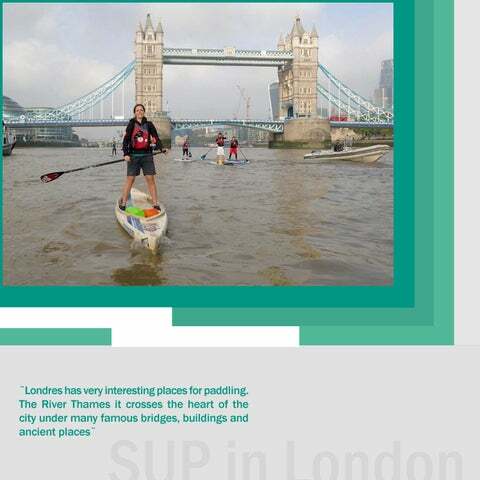 But for those who have the skills and are willing to gain local experience it is perhaps one of the greatest and most exciting urban SUP routes. We also have bases on the canals in Paddington and in Brentford Lock. These have no currents and tides so we usually run slightly shorter trips from these bases and because we donâ&#x20AC;&#x2122;t need to follow tide tables we can go out almost any time. The canals were built in the 18th and 19th centuries and have many interesting bridges, locks and buildings. In Paddington we are close to Little Venice a beautiful and historic part of central London. The area is full of great bars, cafes and restaurants, many on waterside. We often head West towards the lively Portobello market and sometimes we paddle East through the Maida Hill Tunnel towards Camden. This route takes us right through London Zoo past hyenas, warthogs and exotic birds. How do you describe your passion and love for the sea? How has this life of ¨waterman¨ emerged in you? I’ve always had the ocean. And so, its not easy to fully express why it is so important to me. I think that someone who came to discover the sea, later in life, can better articulate the miracle of water. I knew I loved the ocean before I even knew who “I” was, before I knew what love as. And I still can’t really say whether I know the things I know, so much as that, everything becomes totally clear in the sea. There, you become as one with the ques-tion and have no need for an answer. It is like communion, it is like a holy rite, and it is within the practice of appreciation for the ocean that we become “Watermen”. Tell us about Maui. What are your favourite spots? Where do you usually go with all your quiver? Maui is the sort of place that suits a dozen different styles of surfing. The wind and waves are changing constantly, and you must adapt with the elements. I think thatâ&#x20AC;&#x2122;s why the Wa-terman culture really blossomed on Maui, it was born out of necessity. There isnâ&#x20AC;&#x2122;t one place to surf, so much as a dozen places to surf a dozen ways. You can foil surf in the Ka-hului Harbor, paddlesurf at Kanaha or the outer reefs, shortboard the Point at Hookipa, or windsurf there if the trades come up, do a SUP downwinder from Hookipa back down to Kahului afterwards! Amazing the growth of SUP Foil all over the world, and I’m sure you’ve been asked this many times...How do you describe the feeling of surfing wave after wave? That silence, water, nature, peace, etc… Well I am still trying to describe the feeling to myself. Foiling is still so new, the sensations are so extraordinarily different than anything we’ve felt in the past. I guess if I were to try to communicate the feeling, I’d say its like running your head through the water, just below the surface. How you can feel your head flowing through the water like the wings of a Manta Ray. If you can picture your hand, and all the sensations of water rushing over it, and now imagine that you are flying above that hand, you are in the air, your eyes believe you are flying, but your feet know every vibration and texture that lay beneath the surface of the wa-ter, that is the true flight. Like the hand moving gracefully through liquid, the foil is the wing upon which you fly, soaring below the sea. How do you see the situation of competitions worldwide? I see a vast world of competitions spanning across all disciplines, in paddleboarding com-munities all over the world! For me, personally, I’ll be doing less events, spending more time traveling and writing. I have a passion for storytelling and I want to follow that passion! But I’ll continue doing events that I find interesting and exciting, like M2O, Gorge Paddle Challenge, etc. We have seen you compete in SUP Race in the PPG and M2O among other events. The modalities of Long Distance, Downwinds, Beach Race...o you like them like enjoying the waves? (Risas) Bueno, eso depende del tipo de carrera. Fui criado como windsurfista, mi padre tenía un velero, y me enseñó a respetar y valorar el agua y el viento. Crecí en Maui, donde las olas y la brisa del mar se unen, van de la mano. Raramente ves uno sin el otro. Y entonces aprendes a leer ambos elementos e incorporarlos a tu vida. Amo remar con downwind, o en mar abierto, porque siento la presencia de estas dos fuerzas. El mar, siempre moviéndose, siempre fluyendo; y el viento, que barre desde las alturas, desde las nubes. No me gustan las carreras de flat water porque no escucho el susurro del viento, el mar parece estar durmiendo….y me entran ganas de dormir. No siento motivación para remar, sin patrones. ¡No siento euforia en la navegación, en la travesía! Entonces prefiero surfear, sentir el poder del océano. El downwind tiene ese poder, pero el agua plana es eso…plano. Of all trips you have made to this day. Which is the one that you will never forget thanks the SUP sessions and the experiences? I find I have a pretty strong memory. And I havenâ&#x20AC;&#x2122;t forgotten many sessions, from all corners of the world. Sometimes, something small will trigger a memory, and I will relive the experience. If there is one reason that I leave home to travel and surf, it is to make memo-ries for myself later in life. With what other international riders do you usually live experiences and share great moments with the SUP? Most of my friends live somewhere else. I think its a product of traveling, and living your life away from home. When you put your future in the wind, instead of burying it in the roots somewhere on solid ground. This can be extremely fun, and totally free! I find a friend in every corner of the world! But, I never spend much time with the same person, for very long. After a few weeks, its time to move on, go home. Then, it will be months, or even a year, before I see that friend again. How do you think will be your future with the Stand Up Paddle? Or better yet ... What do you think this sport will continue to offer you? I have no idea! What can the universe do besides unfold before our very eyes? The future of the sport, the future for me, and for all of us, is up in the air! But I started paddling be-cause the people that I loved and respected, all paddled. Because paddleboarders were the most openminded, the most free thinking, the most diverse group of individuals coming together from different backgrounds and ideologies. It remains, in my eyes, to be the most inspiring group of people in all of surfing. Hard working racers, free-spirited surfers, philan-thropists, advocates, dreamers, seekers, and doers. SUP embodies some of the greatest qualities humans have to offer, and weâ&#x20AC;&#x2122;ve yet to be held down by tradition or dogma, no one has been able to tell us what we can and cannot do! For that reason, the future is bright, and wide open. ¡NO TE PIERDAS EL VÍDEO DEL SPS SELLA TRAINING CON NUESTRA TOUCH CAM! ¨SEA CUAL SEA TU AVENTURA, TOUCH CAM QUIERE ACOMPAÑARTE¨ Potente cámara de acción con calidad Ultra HD Resolución de vídeo 4Kcámara a 15fps. Potente de acción con calidad Ultra HD Resolución de foto hasta 20deMpx. Resolución vídeo 4K a 15fps. Resolución de foto hasta 20 Mpx. Pantalla LCD 2”. Pantalla LCD 2”. CONTENIDO DE LA CAJA Pincha en la imagen para ver más información y el contenido del pack. 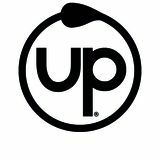 Place your order at info@touch-cam.com with the Up Suping code and take a gift accessory! The place of the event itÂ´s wonderful, where Lake Annecy is surrounded and supported by different mountains in the area of the French Alps. Quickly one soaks up the pure air, oxygenated and cold...pretty cold. The area prepared for the event is ideal, where the organization worries about the comfort of the rider and his material. 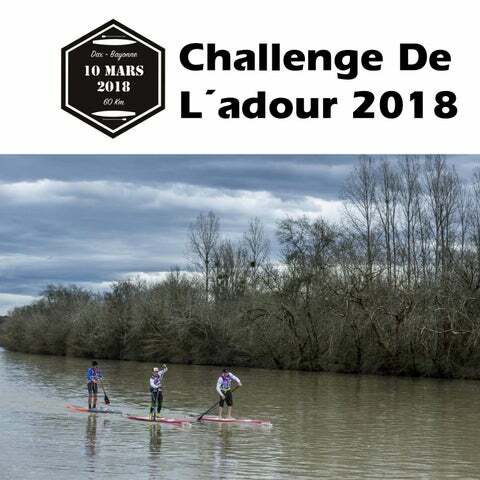 It is known that the french people are very good at organizing Stand Up Paddle competitions, and the GlaGla Race is no exception. Yes, here nothing is cheap but if you are registered in the competition, you will have discounts for breakfast and eating in very good bars and restaurants...and in France, good eating means assured success. The competitors of the amateur category made a distance of about 6km. and the elite category completed the circuit with a total of 14km. After a few minutes off the start, you could see perfectly a long train of riders crossing Lake Annecy to skirt them near other towns. The conditions of the flat water wasn´t easy, since there were areas where the slight wind generated crossed waves. This made some other riders fall into the water, but it was not a problem for the competitors, since they were all prepared with special suits for these conditions; besides the use of the obligatory vest. Obviously it is a physically demanding race, and diffucult if one is in poor shape at that time of year...but the desire to paddling in a very different place than usual, makes the body can with everything. Another aspect to highlight was the landscape, covered almost entirely by the snow that had fallen the previous night. Something unique, for something they call it “The cold race”. In the elite category, one more year the finish line has been very tight. After a great battle, the young frenchman Tom Aubert took the victory against the italians Leo Nika and Martino Rogai. We highlighted the great performance of Travis Grant in 4th place, and the rest of italians and french who have made a great race. Our spanish friends Carlos Lรณpez and William Doering with whom we have shared a trip to Tallories from Barcelona, have also made a great performance in the GlaGla race. Hopefully in the next edition many more will be added riders from Spain. The last minutes of the competition were the hardest, the weather was complicated but all competitors finished the race without problems. Later, while all people were warmed up in the tent of the organization or eating delicacies in the different food trucks available, the snow and the wind made an appearance, with which the rest of activities in the lake had to be canceled. But the mood of the people and the phenomenal atmosphere was something unique. And so on until the moment of the awards ceremony and closing of the event. Our conclusion is that the GlaGla Race has to be on the diary of every lover of Stand Up Paddle, or at least go to one of its editions. There is no event like this, with the cold and the landscape that make it very special, with many competitors and friends willing to have a great time. Europe already has its competition par excellence, and the world of SUP knows...now we only recommend that you do not miss next yearâ&#x20AC;&#x2122;s event. You will not regret! Today, and as a last step before starting with the presentation of the chapters of the book, I would like to make a stop in the prologue. It’s on the way to the decade when a guy approached me, after finishing a small festival of surf photography and video that I organized in my town, that guy was excited about what he had seen and wanted to come and congratulate me for doing it “ fly “for a few minutes in front of the theater screen with the compilation of many of the best photographers and surf makers in the country. Shortly after I saw him “fly” with his hydrofoil in Lastres, in the wave he had been wanting for many years. Then our relationship became closer because the bodysurf, photography, nature and in recent years, the SUP, made our worlds run more parallel although he plans more for Asgard and a server still try to make merits so that the Valkyries , someday, come pick it up. Quite possibly, as I said on many occasions, the most incredibly shocking men that I will meet in life and I am lucky to have shared so many SUP days and I hope there are many more. For having been the one who built me the camera housing that gave the final push to the book, for to sign up to each and every one of the craziness that comes to mind and in the end be the craziest of all. For so many adventures that we have for living together and especially for all that I have left to enjoy their conversations... monologues when passion possesses him (laughs). For all that and for more, I was could not stop asking him to do the prologue of my first book. And what will be my level of success in that decision? Judge it yourselves, by how he describes two moments or two places, or two scenarios or two dreams, related to our raids on a board. Pablo, I just have to say...¡¡¡GRACIES!!! Prólogue de “Stand Up Paddle Surf alrededor de los Picos de Europa” by Ediciones Cordillera Cantábrica In the algid and pristine calm of a November moonless night, I glide between mountains on the skin of a lake to one thousand one hundred meters high. I only reach to hear the harmonic rhythms of my breathing and the paddle opening the water. When I stop and float adrift, the unfathomable velvety darkness of space and the flash of the Milky Way envelop me and soak me with such fullness and immediacy that it is evident to be made of starlight. It is difficult to determine the time I have been here but is undoubtedly my sensation of belonging. Suddenly, the howl of a pack of wolves arises in the distance and travels to my marrow; I had never heard that extraordinary sound in nature. The howls run until the dawn masks the stars, and I remember that only a few weeks ago, immersed in the bellowing, I had glimpsed here, from water and land, fragments of courtships. After blushing the sky at dawn, the sun shines on the mountains and injects unreal resplendence in the processions of mist that caress the waters, rising to create a radiant morning. From the sea, I see the limestone of the Picos de Europa spilling over the Bay of Biscay on the Coast of the Dragons. I have baptized it that way because I have no doubt that, when the dragons sailed the waters and skies of the Earth, they nested and lived on these cliffs - and if they ever returned, they would reclaim their lares-. I know of no place where the relentless frenzy of the ocean creator has given such a harvest of wonders. A visual guide for the practice of SUP in different natural spaces around the Picos de Europa. More than a guide, a gallery of unrepeatable moments, captured in high quality images. You have a passion for water sports from a young age and with great results in internation-al competitions. But when and how does “The Lovers” created? We have been together for more than 30 years, we started our career as a pro windsurfing: many World Cups, indoors, fairs, etc...and to this day we are still together in this adventure. 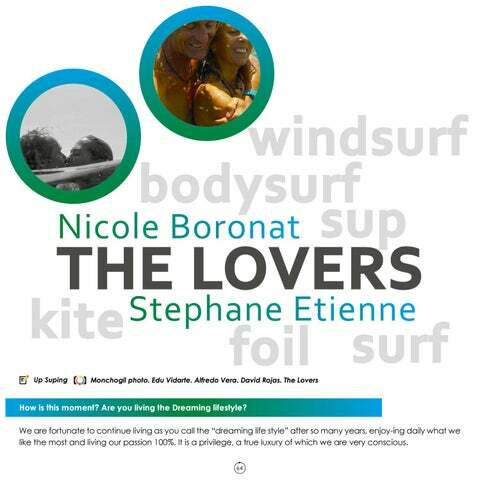 The nick-name “The Lovers” was put by a friend in Maui: Michel Laronde (from the first Basques who have surfed Jaws - Peahi, Tyler’s father, a big wave surfer), something like 25 years and so it has been: ¨The Lovers¨. Tell us about the Canary Islands and all their potential in your projects. It’s the ideal place...right? We had the “crush” on Fuerteventura during our first trip to the island in 1988 to record a TV ad for Fortuna with windsurfing. From that moment we knew that this place was going to be our house someday, but with all the championships and our professional career ahead it took more than 10 years to be able to move to the island. After traveling to many places around the world during all these years, we realized that the Canary Islands was the ideal place both for its conditions, its proximity, its culture, its people and its cli-mate. It is undoubtedly the European Hawaii. Currently, how many disciplines and modalities do you practice? We practice surfing, windsurfing, bodysurfing, SUP and for a few months, we started with the foil ..(we stopped practicing the kite when we arrived on the island). We have to catch a bigger van to carry the whole quiver (laughs). It must be something unique to have big wave sessions with Vilayta, Iballa and other riders from the Canary Islands! Yes, itâ&#x20AC;&#x2122;s a pleasure share sessions with all these people. The level of the Canarian riders is very high and distributed in all the islands. Iballa, Jaran, Felix Palmero, Gero, Vilayta, Gustavo, Edu, etc. We are always very grateful to the entire surfing community of the Canary Islands for letting us enjoy their waves and for the love they give us. To what countries and places in the world have you traveled in search of adventure and what has been your best experience? The list of places we have yet to discover is very long...each trip is an adventure and an experi-ence. One of the most outstanding was a trip to India where we find surfing waves and good condi-tions for windsurfing, going on an adventure and without having any surf report. Apart from good conditions, we were impressed by the culture and coexistence of the various religions. It is a really atypical country. How do you plan trips? Search of the destination, time, organization, etc... We do not have any specific protocol to prepare trips. Sometimes an opportunity comes out, a good contact and everything starts to organize a destination. In general, we like to go to unknown places, which today are less...or increasingly far away! Of course, the conditions of waves and climate have a main importance, but we like the trip itself. To discover, to know the local population, cultures...to open ourselves to a new place to new customs, foods, etc. Go in search of the unknown, open your eyes, mind and let ourselves go. Sometimes itâ&#x20AC;&#x2122;s not about seeing new things, but about seeing them with new eyes! And how do you do to fund your adventures and have the right material to enjoy at sea? We are lucky to have sponsors who trust us, help and equip us with the best material. With F-One we are collaborating to develop windsurfing foil, SUP foil and surf foil. It is something totally new, a world to discover and it is also a good ¨hallenge¨ for us to learn something new. It’s fun, these last months we’re going to do foil in places on the coast where we would never have stopped to look at it before. Practicing the foil reminds us of the beginnings of SUP about 10 years ago discovering new waves. The fact of flying over the water with the foil hooks a lot, it is not surfing, it is not wind-surfing or kite, it is accessing another dimension... With the years and our experience and our trajectory, we have come to have closer deals with our sponsors and we have the luxury of being able to continue developing our lifestyle together with them. Stephane: I keep on “shaping” and modifying test material if necessary, retouching our surfboards and big waves with my brand ETN’s surfboards. I love being in my workshop always with some project in my head...I love the roll ¨D.I.Y (do it yourself). Do you train and take care of your diet to have the correct skills for practicing these sports? Every time we take care of our “hygiene of life” in order to be as healthy as possible and above all avoid injuries, so we take a little care of our diet. We do many stretches, we try to warm up more before entering the water, and above all, we try to impose (when the waves allow us !!) one day of total rest a week. A couple of days, or those of us without water sports, we usually do a functional training session at home. Cardio boxing, outings in mountain bike or climbing, and in summer much bodysurfing with my hand plane ETN. Nicole trains Thai boxing when she can at Noi Thai club in Corralejo. We have nothing programmed in this aspect but we have acquired some discipline...but we always go with the feeling, the flow...listening to what the body asks for. CARBON PLUS VARIO NAISH Race/Touring/Wave Lightweight and versatile, the is the well-rounded Carbon Plus is a great choice for racing, wave riding and cruising. Utilizing 100% UD Carbon for the blade blade and 85% Pre-preg Carbon for the shaft grants a nice balance between stiffness and flex-curve providing just the right amount of energy absorption for a variety of conditions. The addition of the EVA T-handle provides added comfort and sure gripping, while the ABS rail delivers built-in blade edge protection. Long-lasting and durable, the Carbon Plus is the elevated “do-itall” design for experienced and novice paddlers alike. NOVA 12´6¨ . Optimised for performance and speed, the Nova combines long-distance touring comfort with relentless racing power. A classic touring shape with a striking scratch-proof design. . Includes stability to surprise and clever innovations to give you the competitive edge – square tail, pointed prow and ideal rocker to achieve top speed. . The perfect companion for touring and competitive boarding. The generous EVA traction pad covers most of the deck so riders can paddle from either end. Top surface softness to maximise comfort in long-distance races. . Features a streamlined shape with a pointed prow to slice through waves and a single fin for even smoother tracking. Outstanding glide to make the difference in the essential last sprint. ESSENTIAL FULL CARBON . SUP allround 10,5Â´x 32Â¨ full carbon . Perfect board for initiation and schools. BAN BAN The BanBan is the smallest of our models, could not miss that model designed especially for children or not so children but very light weight. Not only because of its small size, the lower part of the board has also been extensively worked to facilitate maneuvers and make surfing easier for all those who are able to carry these boards with just a few liters. Fast and radical, it will allow the little ones to enjoy as they have never done before. MANATEE 4/3 SURF Redwood Paddle launches its neoprene range. As always the quality has to be the best and the quality/price ratio is unbeatable. Only â&#x201A;Ź 179. 4/3 with a waterproof gift bag. The dream of Redwood Paddle was to create a wetsuit using the best neoprene available that is ecologically and does not cost a fortune. After testing several different materials, they finally chose Limestone Neoprene, which is not based on petroleum and is manufactured using sustainable energy resources. Sizes available: S, M, MT, L, LT, XL, XXL. WATERPROOF iTUNES CASE 100% waterproof and submersible case for iPod, mp3 and mobile. Inside the case, everything works as always • Standard 3.5 mm plugs • Perfect view of the screen • Handle buttons and touchscreens through the case • Take pictures and record movies • Supplied with an adjustable bracelet and rope • WiFi, Bluetooth. 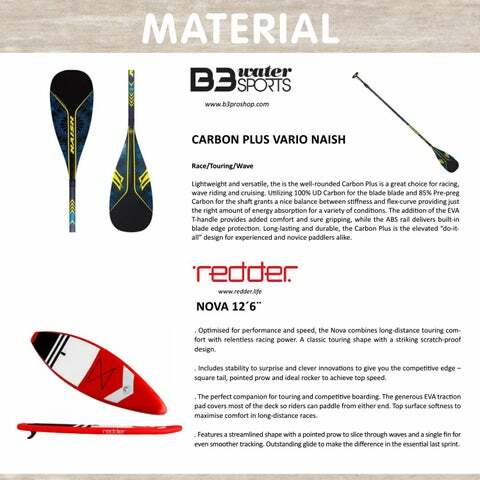 NAISH PADDLE CARBON PLUS VARIO 85 Durable and comfortable, the Carbon PlusVario 85 is one of the lightest and most comfortable extendable paddles we have ever tested. Ideal for all types of activity, both for amateurs and for the most experienced. You can make many kilometers, it is an paddle with a lot of balance that will allow you to paddling and work your body with absolute comfort. We have tested in different modalities of SUP, and we liked it a lot as it adapts in different conditions (flat, downwind, upwind, etc). And as it is extensible, it can be adjusted perfectly to adapt the arms and the rest of the body to these conditions. Like the Vario Carbon 85, aesthetically the paddle set is very beautiful. The handle and its grip lining make it comfortable and lightweight. The edges of the blade are ABS, which has greater protection at its edges and is very important to have more durability. In medium and soft waves it is very comfortable, its lightness is perfect for hand changes and support on it. Its grip is very safe as it is usual to see in the Naish oars of this range, as well as its handle which is very comfortable. ZEN SUP YOGA REDDER BOARD We present the ZEN, the SUP YOGA board of the Redder brand. Designed and built with MSL technology, with greater rigidity at lower pressure and less weight. The ZEN is aimed at the practice of SUP Yoga, SUP Pilates, SUP Fitness or meditation, without forgetting other SUP modalities such as small cruises, short trips... even to surf a small wave! A versatile board for a varied training. It provides a perfect size and volume to guarantee stability, in addition to its soft and non-slip EVA that adds comfort and safety to your favorite postures. It has a side handle and an adjustable shoulder strap for comfortable transport without interfering with the exercise area. In the water, the straps will keep your belongings well insured. It is a surprisingly maneuverable board with an excellent glide, ideal for the exercise of meditation alone and for the beach days in company or with the family. To finish, the ZEN comes with its accessories, such as carbon/ fiberglass adjustable paddle (3 pieces), anti-humidity backpack, Bravo Pump SUP3 pump, repair kit and its safety leash. After having spoken to you in the previous magazine of steps to follow in a SUP race, now it is time to reel off the things that we have to take into account when we sign up for a Stand Up Paddle wave event. For this, I will follow the same scheme used for the other modality, since this way you can compare one with another, and most of all because they have many similarities in the general aspects, not to say that they are exactly the same. If our objective is competitive, I would recommend that you bring several sets of fins, leashes and everything you need to have your material in perfect condition, if it is purely for fun, although it is good that you are well equipped, it is clear that you probably go with what you have. In this modality, it is fundamental to be clear about the rule book or regulation of the test if it belongs to a circuit, since in it are reflected the rules, sanctions and all kinds of information necessary to participate. If you are a young competitor or if you want to become a good competition athlete, my advice is to do a judging course, because you learn the fundamental in and outs to know how the waves are really valued. The most important thing about this phase is to train specifically for the competition. This means, normally all of us go into the water to enjoy as much time as possible and catch the greatest number of waves, ERROR. For a single heat to be effective, we have to train previously situations of heats with real times, knowing how to select the waves with the sufficient potential to obtain the scores that we need to solve in our favor the final result and with some performance objectives. So you know, change your routines before a competition, or find a coach to prepare them. DAY OF THE COMPETITION: As in the race tests, we will have to put a lot of emphasis on the approximate times of the raceâ&#x20AC;&#x2122;s development, that is, the check-in, the meeting and the start of the competition. Once the heat draw has been published, we will have to study carefully when we really need to enter and in what tide conditions. It is also important to know the color of the lycra we will wear, where it is put, collected and delivered, as well as knowing the conditions of competition that have been established. Normally, they tell us the time of the heat, the maximum number of waves and the ones that score us. The times can vary between 15 and 35 minutes depending on the competition, the type of wave and the period we have that day. Umberisusually between 10, 12 or 15 waves at the most to surf, currently 2 waves are counted, so everything is always important to review or ask before starting your heat.waves are counted, so everythingis always important to review or ask before starting your heat. It is essential to go to the place of the championship at least one hour before the heat to visualize the conditions that we are going to find, analyzing the judging scale that is being used and preparing the material and what is more important to our body: we must perform a good physical and mental warm-up to get to the top, and as soon as the sleeve start horn sounds, we are ready to give our hundred percent. Now, I’m going to tell you two things that you have to also take into account in a wave competition. The first of these is the playing field and how it is played, that is, two flags will be placed on the beach to mark our action. Outside of those flags we can not surf or what is the same, they are not required to score. Obviously, if we take a wave inside flags and we get out of it because the wave takes us beyond you will score all the way in it, but it has to be started within the competition area. When I explain how to play, is to tell you that we have to take acoustic and visual signals into account. The heats begin with a sound and end with two, while the “panel” works as follows: singing is that there is no heat in play, green that has started and red that there are five minutes left. “It is governed by the existing surf competition rules. The difference lies in the technical and material characteristics of the modality. . The paddle is an important instrument of this sport, therefore, it should not be used solely as an aid to paddle and overcome the wave. It should be an instrument to help when surfing the waves as a multiplier element, similar to a ski pole when skiing.
. A rider must demonstrate handling skills on board, both in the transition phase (from the end of a wave, until it connects with another) and in the surfing phase in the wave, thus being considered as a complete rider.
. Should go back to the point on foot if conditions permit, the Chief Judge will give a warning to the competitor who does not comply with this rule. The three warnings will be marked an interference.. The criterion of basic judgment is the same as in surfing without paddle. The particularity introduced will be: The controlled radical maneuvers should be carried out using the paddle as a key tool, in the critical sections demonstrating speed, strength and fluidity to maximize the scoring potential. The innovative and progressive surfing, the variety in the repertoire in the maneuvers, as well as the use of the paddle to increase the intensity of the maneuvers must be taken into account in the allocation of points. The rider who executes these standards with the highest degree of difficulty and commitment on the waves will be rewarded with the highest scores¨. POST-EVENT: The same ones that we saw for the SUP race competitions, but here, in the autocratic section, we will have to look at the trainable aspects to improve facing the next competition, since depending on them, we will have to prepare our sessions in our planning with those specific tasks that we must work to improve our performance. 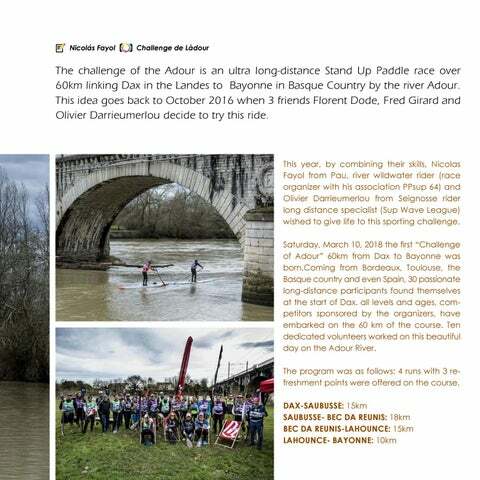 The challenge of the Adour is an ultra long-distance Stand Up Paddle race over 60km linking Dax in the Landes to Bayonne in Basque Country by the river Adour. This idea goes back to October 2016 when 3 friends Florent Dode, Fred Girard and Olivier Darrieumerlou decide to try this ride. At Eurosupa Championship in Somo, you have amazed us with your surfing. How have you experienced this event in Spain? This event was great. It was the first time I did SUP out of France. In the morning with the free surf, I could see very good young spanish. Finishing twice 3rd in Junior and Open was just amazing. I didn’t expect this for my 1st. participation. It was very fun. Tell us about your experience in the Nord Challenge with those impressive waves!! I started surfing big waves 3 years ago. The days of big waves, the atmosphere is very different in the water. The Nord Challenge is a very good experience because in 1 hour you have to take the best waves but you don’t have to tire so much to be able to do other heats behind. I’m very happy to finish 5th. You have a lot of class in all kinds of waves, but we see you enjoy the â&#x20AC;&#x153;big wavesâ&#x20AC;? and also in any aquatic modality... right? When I started surf I saw videos of Laird Hamilton, then I saw Kai Lenny doing Wind-surf, Kite surf, SUP and surfing big waves. Depending on conditions, I change the board to try to train as much as possible on all the supports. I love being able to surf several types of boards and try new support. Where do you usually enjoy your sessions? What are your favourite spots? I love surfing in Anglet because we can do Kite, SUP, surf, Longboard…But my favorite spot is Guethary. It’s an incredible wave! What is your dream Trip SUP? I love Fuerteventura because I have friends there. We can Surf and do Kite. But my dream trip would be Peru, because I could surf crazy waves without wind in the morn-ing, then Kite on the same wave of 800m. long the afternoon. I really think itâ&#x20AC;&#x2122;s a per-fect destination for someone who practices on several supports. Thanks toâ&#x20AC;Ś. Thanks to La Marque 64, Mundaka Optic, Notox Surf, Aloha Coiffure, SWL and An-glet Surf Club. On March 24th, the Mysterious SUP Pro & Amateur International Race was held at Las MaraĂąuelas beach in the south of the island of Gran Canaria organized by C.D. The Mysterious SUP Gran Canaria set with MogĂĄn City Council. Members of the Mystery SUP club saw the sunrise on the beach surrounded by frenetic activity. Already in these first moments of the day, there was joy, the morning was breaking without a cloud in the sky, the sea calm and without wind. At 8:00 in the morning, everything was ready to receive the participants. With the arrival of the first competitors, you can feel the emotion in the environment. At 9:45, everything is ready to start the competition with almost 50 registered competitors from the Canary Islands, the peninsula, Slovakia, Czech Republic, Germany, Italy, Hungary, Norway and France. At 10:00 the first skippers meeting of the day begins, the departure of the amateur is prepared with race boards and professionals riders. These two categories share the same circuit of 4 km long with departure from Arguineguín and go back to the coast of the municipality of Mogán towards the Barranco de la Verga and return. The amateur race was 8 kilometers (2 laps) and the professional race of 16 km (4 laps). The departure of amateur and professional riders was held at 10:15. In the starting line more than 35 competitors. After welcoming the door of the director of the Regatta, all participants ran about 10 meters with their boards to the water and began to take the first buoy at the mouth of Marañuelas Beach, heading towards Patalavaca Beach and then towards Playa de la Verga, where the turning buoy was located. First days to do more sports on the beach of Marañuelas to start a second round of the 4. After one hour and 46 minutes, the first rider of the professional category Paolo Marconi reached the final goal with a 14 foot (IT) table and one minute later the second Gran Canaria player, Esteban Medina. First classified in the female category with table 12.6 Spanish Susak Molinero took only 1 hour 54 minutes to travel 16 km. The skippers meeting of the technical circuit for children SUB 16 and SUB 14, and popular takes place at 1:45 pm and at 2:00 pm starts punctually. The participants in popular gave two returns to the circuit of one kilometer and SUB 16 and SUB 14 three. Both in SUB16 and in SUB 14 they occupied the children’s podium of the Second Reef club in Gran Canaria. Once the races are over, the organizers await the arrival of the users of the Arguineguín Occupational Center, a group of 9 adults with psychic disabilities who participated in the baptism of SUP designed by and for them. Alba García, a psychologist and practitioner of the sport, supervised the team of instructors composed of Stano, the president of the Mysterious Club, along with some of the organizers of the event, more competitors such as Paolo, Susak and Jaran. All of them devoted themselves body and soul to this activity. We were very happy to show that SUP is a sport that can be adapted to any type of user. The 9 received a medal praising them for their bravery and ability to excel. This activity was the highlight of a magnificent day that culminated at 16:00 pm. with the delivery of medals. How did you meet Stand Up Paddle and who taught you how to practice it? I met this sport by chance the summer of 2015 when I signed up for a SUP course at a nautical school in Moraira, where Ramón Blanco was teaching, the person who taught me everything I know about Stand Up Paddle. ¿Qué tal te ha durante el 2017 en las diferentes competiciones en las que participaste? I think I've done quite well, I'm very satisfied considering the difficulties we have in Madrid to train in water. But living in such a central city has allowed me to participate in events throughout Spain. In 2017 I participated in more than 20. I have participated in 4 championships in Spain and in all of them I have up to a podium. I managed to be sub-champion of Spain of Speed in the Madrid SUP Games, the one that more illusion made me. In addition, I got two bronzes in the Winter Championship of Baiona, another two in the Suances Summer and second position with my relay team in the Resistencia 24H Pedreña. I got the first position in the Central League of the FESURF. By Autonomous Communities I am champion of the Community of Madrid and rsub-champion of the Cantabrian Circuit. As for private circuits, I achieved the second position in the Mediterranean Circuit. At the sports level, I have improved a lot because I have worked hard all year. In the 2017 season, I realized how training, discipline and perseverance can improve performance in competition. Where do you usually go out to paddling? What are your favorite places in Madrid and surroundings? I usually paddle in Aranjuez, in the municipal facilities of the Tajo riverside, in front of the Royal Palace. I can do laps of almost six kilometers so, I train resistance and speed. It's my favorite place to train. I'm also going to paddle at the Valmayor reservoir. In the Community of Madrid, we have enough obstacles to practice Stand Up Paddle. You have to have a permit and even then we can not use all the reservoirs. In addition, in the nautical facilities managed by Canal Isabel II, you have to pay 8 euros for each day of use, so it is very expensive to train in those facilities. In what national and international riders do you look to improve your style and learn new techniques? Of course, my first national reference is Ramón Blanco. In addition, I learned a lot from Román Frejo, also from Central de SUP, who taught me the technique in the sprints. Internationals, I'm very interested in Connor Baxter, in the way he has to face the breaking waves, which is very good because there are no waves in Madrid. Lately, I look at the Hasulyo brothers. We suppose that the support of the family is fundamental to face many trips throughout the country...right? Of course, if my family had not supported me from all points of view, it would have been impossible for me to participate in so many competitions. But, well, I belong to a family that likes everything sailor ambient and what has to do with nautical, so they do it with pleasure. What is your quiver? I used in 2017 with a Starboard All Star 12.6 'x 25¨, which broke in the last race I participated (Jávea - Mediterranean Circuit). The paddle I used was a Bolt Hybrid Carbon size S. During the 2018 season, I have not yet decided if I will change the board, but I have a new Carbon Carbon lime size M.
How do you combine the studies and practice of SUP? Until this course, I have always combined it quite well, but for the 2018 season, I am leaving a little aside the training and competition to finish the course well and face the EVAU (former selectivity). When I'm finished, in June, I'll totally turn in the competition and train hard for the end of the season. What was the toughest competition and where have you learned positive things? Of all the competitions in which I participated, the hardest was the 24 hours held in PedreĂąa, Spain. I participated with my team in relay mode and we were second. It was a very intense competition in which we were fighting for the first place until, at four o'clock in the morning, my partner Jose Maria Avila was injured and only three athletes remained in the team: Morris (David Castilla), Meoro, who was the captain, and me. From that moment we had to face between the three what came to us to try to lose as little as possible. In the end, we got the second position with less than one lap of the Suances team, which was the winner. How is the environment with the other competitors in your category? Have you found great companions and friends thanks to Stand Up Paddle? Among all the athletes in my category we have an excellent friendship and a great atmosphere, we are all friends. Perhaps with whom I have more friendship is with my partner Pablo Fernández Quesada, from San Sebastián, and with Aaron Martínez, from the Mediterranean. Now I have friends in many parts of Spain, in this world of Stand Up Paddle we are a great family. Do you have in mind to compete outside of Spain? Which events would you like to go? Yes, I intend to compete outside Spain and for that, I am going to prepare intensely. Of course, it would be a dream for me to go to the World Cup in Brazil, although I admit that it is tremendously difficult. In the near future, I would like to go to some EuroTour test. Thanks to… I have to thank Ramón Blanco for everything he has taught me, for my colleagues at ¨Central de SUP¨ for making me feel so good when we are together, and of course my family, who gives me the means to continue training and competing. I also have to thank my school SEK El Castillo and Camilo José Cela University, which through the Sek Sports Academy program provide me with the material means to train dry. They put at my disposal a physical trainer and fantastic facilities that I share with other high performance athletes. I also thank the magazine Up Suping and you, Nico, that you have been interested in me and that you allow me through this interview to be able to tell my experience in this sport that I am passionate about. See you on the water. Stand Up Paddle keeps growing year after year all over the world. Precisely in Argentina within of the ASA National Circuit, which this year has 11 races throughout the country, its 2nd date was successfully held in Bariloche. With more than one hundred participants distributed in different categories: Mini ¨Supistas¨ between 4 and 9 years old, Children between 10 and 12 years old, and Juveniles between 13 and 16. Then amateurs and professionals from Argentina, Spain, Chile, Peru, USA and Venezuela, who paddled on Moreno Lake for a circuit of 14 km. Departing from Puerto Spiegel around the Conejos Island, crossing a large bay and then returning to the starting point. In this edition, the sprint category was added where a great competition was seen among the best riders, who paddled explosively a distance of 200 meters. The Sup Race Llao LLao is a unique opportunity where competitors choose to go paddling in a super natural setting, added to that great challenge that the Patagonian climate has as a special condiment. It was lived as a great party, since the call is for the whole family and the participants not only enjoy paddling in this paradise, but also the environment and the comforts of the majestic LLao LLao hotel; where at the end of the race they are treated to a cocktail and awards ceremony at the legendary Bustillo Hall...declared historical heritage of the city. The big winners of this marathon 14 K. were Juliana Gonzales (Mar del Plata), who leads this race since the first edition and Francisco Giusti (Paranรก), followed by Juliette du Haime (Paranรก), Natalia Zabaleta (Bariloche), Cristian Almonacid (Bariloche) and Juan Roboldi (Paranรก). Times are beginning to arrive where both the benefits and the injuries of the SUP are going to be studied scientifically. I remember the prehistory of this section when I tried to tell you about the type and frequency of the most frequent injuries in our sport. 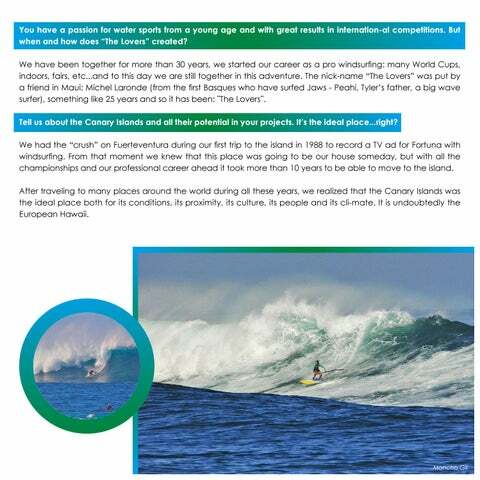 If you reread that article you will see that everything was done by comparing it with surfing and other water sports. But today we have the first outbreaks of scientific evidence, that is, to speak properly to do things correctly. In 2017 the magazine “The Orthopedic Journal of Sports Medicine” published a work titled (“Transduced”): “Epidemiology of injuries in Stand Paddle Boarding”. Epidemiology is a science that studies the distribution, frequency, determinants, relationships, predictions and control of factors related to a disease. In our case, the injuries that occur when practicing SUP. Therefore something very important for all of us. Its main author is James Furness, a physiotherapist closely linked to surfing and SUP and who works at Bond University, of course, in Queensland Australia. The tradition and importance of the sea and sliding sports in Australia is clear even in the scientific field. The study is methodologically very simple. It is about conducting an online survey on an international level in SUP practitioners. Almost 70% of the participants were Australian, 20% American and 4% European. The survey is carried out through social networks and platforms as important as the SUPAA (Stand Up Paddle Athletes Association). The conclusions and data provided by the study are very interesting and although they should always be taken (as everything in science) with caution, they are undoubtedly an excellent start to take advantage of this sport from the point of view of health and sports performance. The first thing that we must highlight is the very important increase of practitioners who have suffered this sport in recent years, from 1.1 million in 2010 to 2.8 in 2014 in the USA. Almost 70% of the respondents were male, something that in some way reflects the current status of women in the SUP both events and competitions and we should improve. The average age was about 43 years which shows a very wide range of ages in its practitioners. More than 40% of respondents practice Sup as fun and fitness, 28% SUP surfing and 24% SUP racing. In addition, 65% use the sea as the main means. Interestingly more than 50% participate in competitions. And to continue with more data, worrying, that less than 40% perform some kind of warming. Apart from data, we can comment directly on the five major conclusions reached by this study: 1-There is a high frequency of injuries in the shoulder, back and elbow. 2-Most injuries occur in muscles/tendons and joints/ligaments. 3-The most frequent mechanism of injury is the background or resistance paddle (overload or overuse). 4-There is a greater risk of injury in competing supers, over 46 years old and participants in SUP race or surfing. 5-One out of every two SUP practitioners will have an injury every 12 months. Begin to draw your own conclusions. Today I would like to focus on the first point. No doubt the shoulder has been the big star of those affected in this study, I could even add the arm in general, specifically muscle and tendon areas, therefore, a good physical preparation, medical review and prevention exercises seem to be a great strategy so that we do not have a bad time in this sport. And above all and to the thread of the said, in those that we practice SUP race, that we like the competition and that we have...certain age, since all these factors seem of risk. The lower back is the second most affected segment, but here I put my small contribution because I still think that with good technique and good training, without excess, the SUP is protective for back injuries. And as an important conclusion, one also shows how beneficial this sport is for people with lower limb problems, ie ankle, knee, hip...since it shows the low frequency of injuries of these areas in the SUP. Probably we will continue commenting a lot on all these conclusions, because I insist, they begin to be serious and contrasted studies. It is very important to note the importance of these and of research in general, since it allows health professionals, as well as coaches and instructors, to determine correct prevention, treatment, training and technical strategies. As you can see, a whole world. PABLO CODESIDO SPECIALIST DOCTOR IN TRAUMATOLOGY AND ORTHOPEDIC SURGERY. Do you want to attend an event or participate in a competition, but you do not know which one to go? Enter in â&#x20AC;&#x153;Holenalu SUP Calendarâ&#x20AC;? and plan your next getaway. Click on our logo and you will access directly!